Thanks Fred for the potted history, I did wonder where the Rail part came from I certainly had no idea it went back to WW1 origins. Just for you, and to show a little more of the Motor Rail, (Simplex), story. 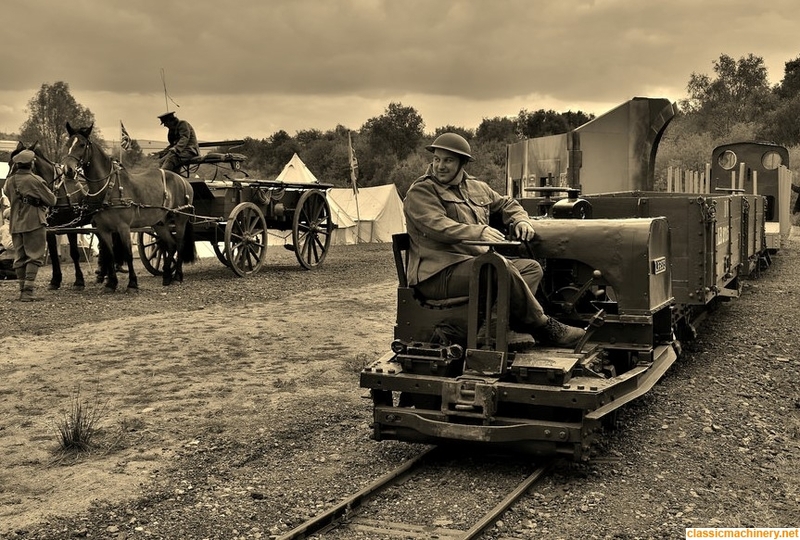 Below is a survivor of the 1918 Motor Rail ex W.D. type tractors, (locos), and a few pics. 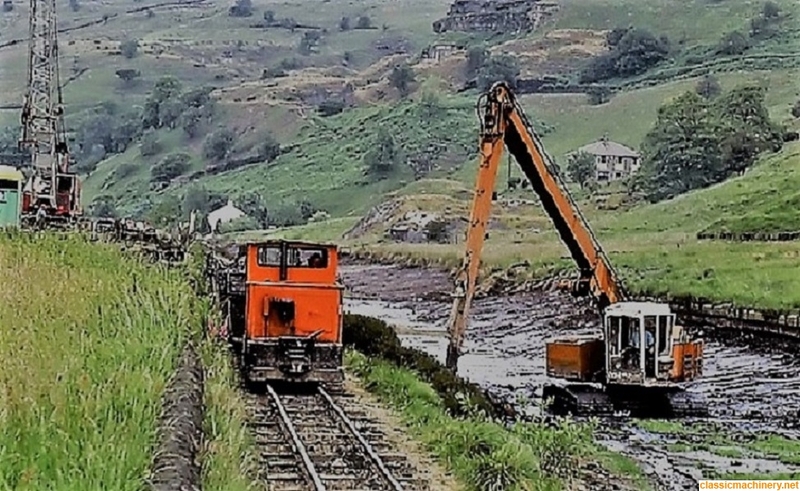 of Moto Rail locos at work more recently. The pics. with the 19 RBs are probably from the early 1960s but the one with the Priestman VC15 is much more recent as the VC wasn't introduced till 1982. Here's one to puzzle over. 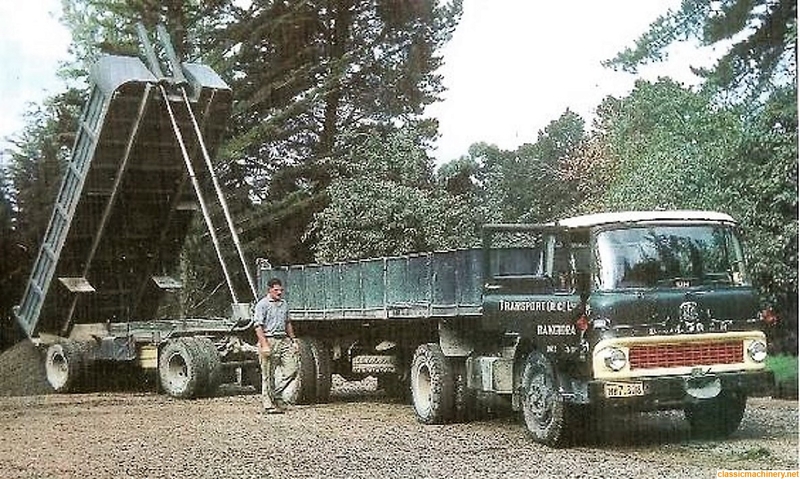 The write-up says the TK is powered by a Leyland 401 engine and the trailer by a Ford 365, but there's no mention of how the truck and trailer are geared or synchronised to work together. From memory, Bedford were involved at some point with an articulated TM with a driven rear bogie. Perhaps the front half of this is an early version? As far as the second trailer is concerned, probably only powered up when loaded and a simple control method would be to have it driven through an auto box and fluid flywheel. Only two cables needed, one as a gear selector, and one linked to the throttle cable. The bigger challenge would be backing it all up when you've followed the sat/nav into a dead end. The old brain is not co-operating but I believe that the Bedford with the powered semi trailer was an AWD conversion and that it was a product of DJB Brown who went on to build the DJB ADTs that formed the basis of the original Caterpillar range of ADTs. As well as being powered, the trailer bogie also steered. I believe that the original concept was developed for the military who failed to take it up. Could be wrong on all counts. 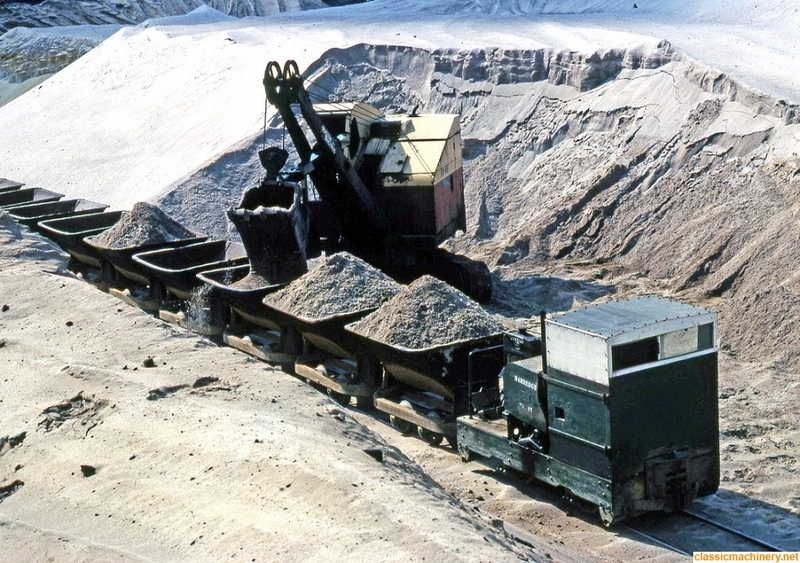 I've never seen or read about the powered drawbar trailer but it's interesting that a common road going tipper configuration in the Scandinavian countries is a tree axle truck pulling a two or three axle drawbar trailer on an extended (ing?) drawbar and the whole rig is unloaded without uncoupling by jack knifing the trailer, tipping it and then tipping the truck. Last edited by modelman093 on Sat Jan 06, 2018 1:32 pm, edited 1 time in total. Why would a TK have a Leyland engine? Yes, I'm sure you'e right. It was AWD that had the TM 4x4 with the 4x4 driven/steered trailer, and later a Leyland T45 4x2 with the 4x4 trailer. hair bear wrote: Why would a TK have a Leyland engine? The Leyland Engine was a standard factory option in the heavier TK chassis. Not surprising when the S Type which was the previous model offered Bedford, Leyland 375 or Perkins R6 as factory options. Thinking about the TK in the pic. it could well have been an AWD product. 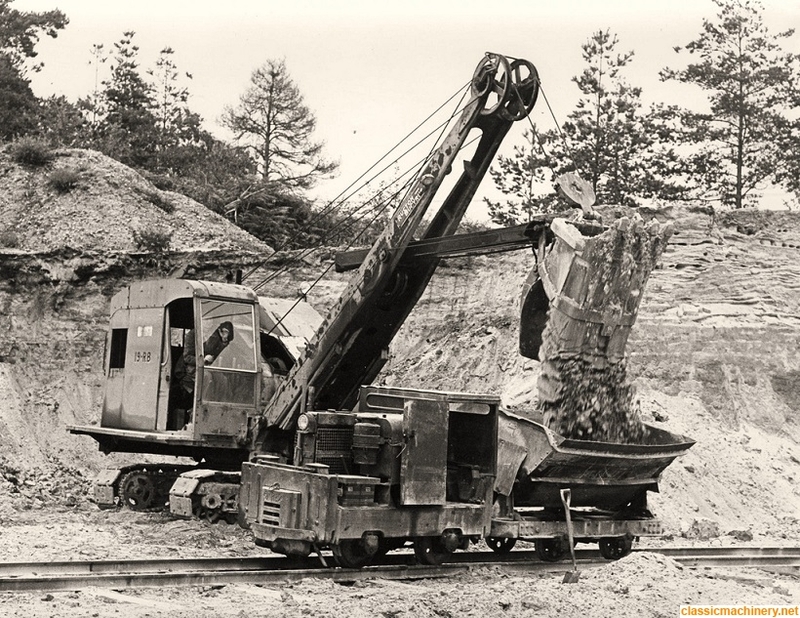 AWD produced 4x4, 6x6 trucks, crane carriers and driven articulated trailers for various makes long before they took over Bedford and produced the Multidrive TM artic you mentioned. Thanks Fred, Multidrive. I couldn't think of that earlier. The sign writing is in english and rhd, but a non UK reg plate, so could be a local build or adaption. Could it be a New Zealand truck? Many Oz companies were labelled 'Pty' Ltd. I'm not aware of any DJ Brown single axle trailer Multidrive units - their system used a double-drive trailer bogie with steering linkage to the tractor unit which allowed the trailer to self-steer, this kept propshaft U/Js at equal angles. If I had to run that combo over steep hills I'd bung a Ford engine with torque converter drive into the trailer and simply fire it up at the bottom of the grades - gearing need only be matched to the best hill-climbing gear in the truck box.